Centre County (pop. 153,990) is east of Clearfield County, in the center of Pennsylvania. Its population has gone up in every U.S. Census since 1900. It’s the only Centre County in the U.S., and the fifth-largest county in Pennsylvania in square miles. 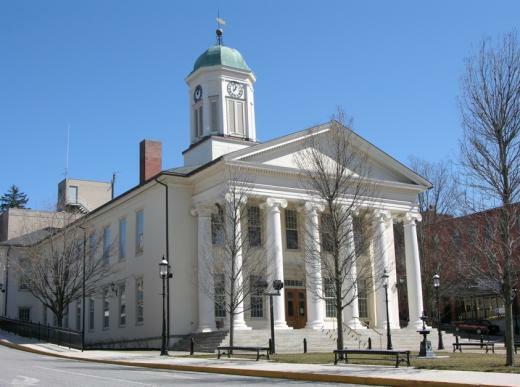 The county seat of Centre County is Bellefonte (pop. 6,187), which was given its name by a visiting Frenchman who saw its natural spring – which still provides the community’s water supply. 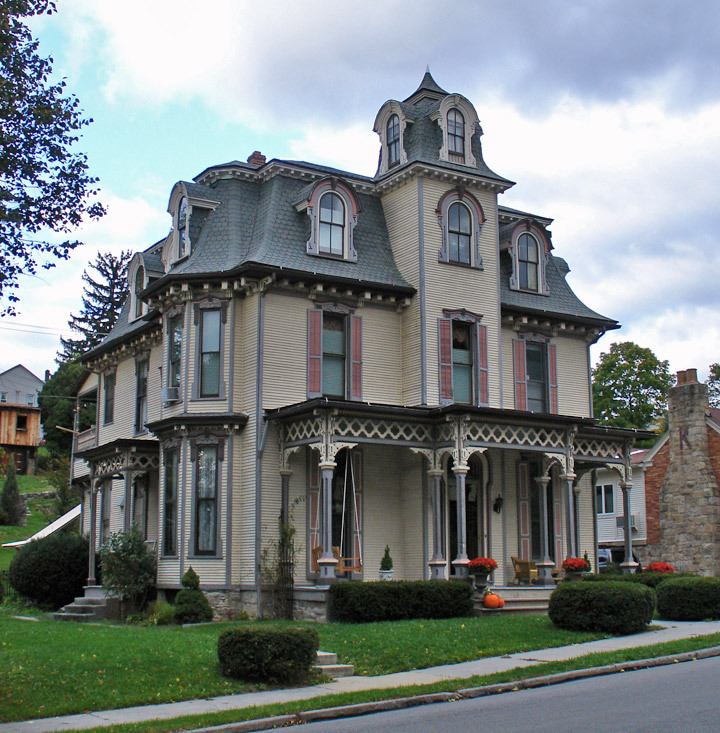 The Brockerhoff Hotel, built in 1866, is now an assisted living facility. The Gamble Mill (1894) in Bellefonte is being renovated as a restaurant and hotel. The huge “Match Factory” buildings, home of the Pennsylvania Match Company until 1947, now contain the headquarters of the American Philatelic (stamp collecting) Society. 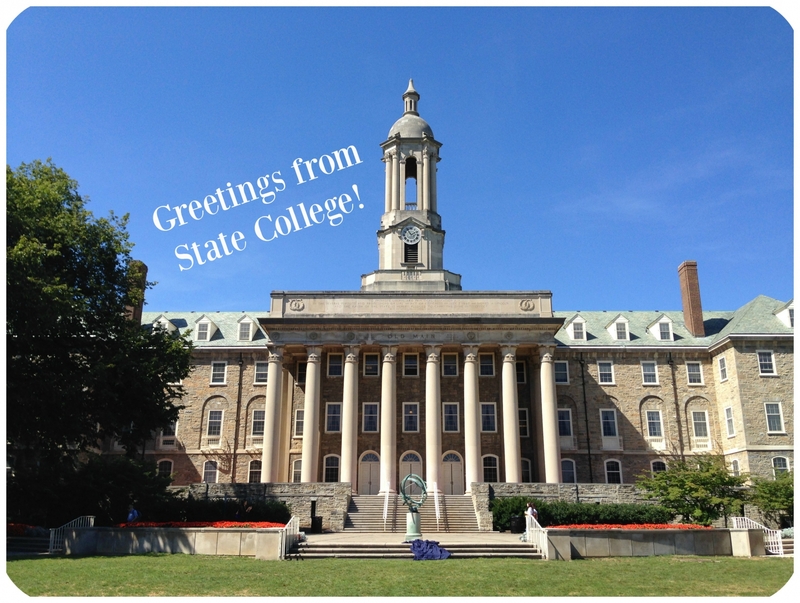 The largest community in Centre County is State College (pop. 42,034), home of Pennsylvania State University, where the athletic teams are known as the Nittany Lions. 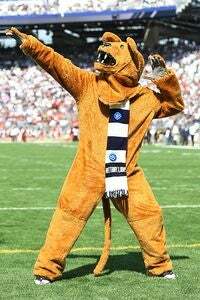 Bellefonte and State College are in the Nittany Valley, and nearby is Mount Nittany, which once had mountain lions on it. The word “Nittany” was apparently derived from an Algonquian word. The skeleton of a 19th-century mule named Old Coaly, an unofficial campus mascot, is on display in the HUB-Robeson Center at Penn State. Penn’s Cave is a major tourist attraction in Centre County. 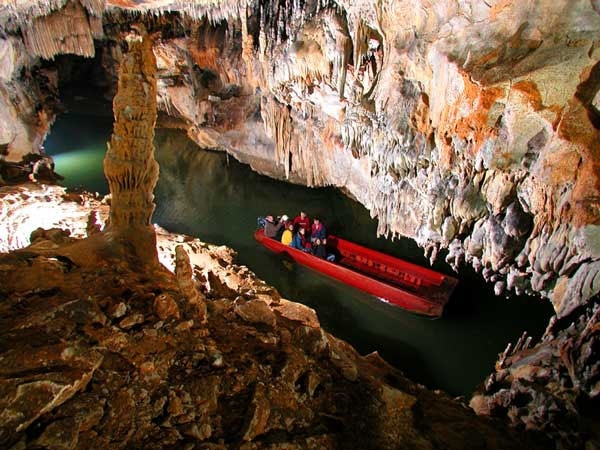 The cave tour is given entirely by boat. The cave roof is 55 feet above the stream. Curtin Village at Eagle Ironworks Historical Site has 18 buildings and other structures related to an ironworks that dates back to 1810. The operation closed in 1921. Centre County has six state parks, including Bald Eagle, Black Moshannon, and Penn-Roosevelt. 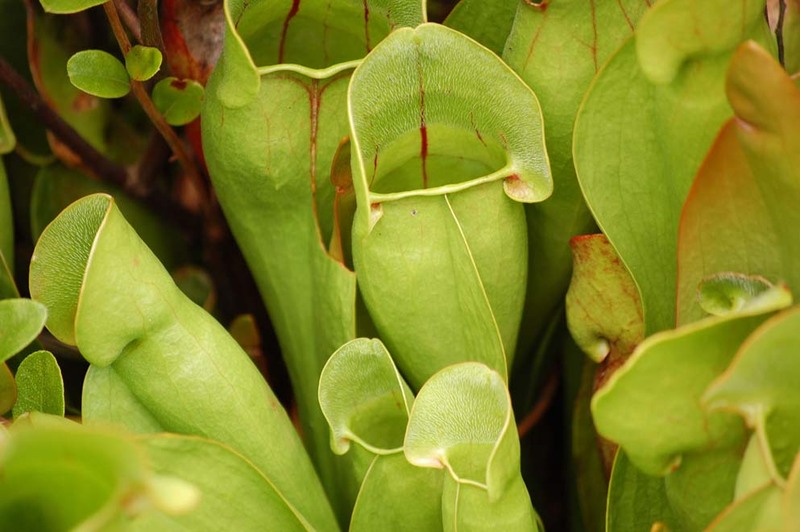 Black Moshannon is known for its bog, sphagnum moss, and three varieties of carnivorous plants.